For those of us who keep our motorbikes outside, keeping the bike dry and safe is a constant concern. You may choose to use your garage, or if you aren’t lucky enough to have one, rent some storage. Yet, storage is expensive and can lead to strains on the finances and/or your family wondering where you are (because let's face it; bike + garage = you live there). 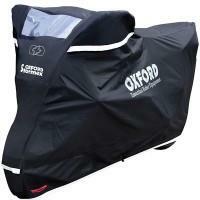 However, don’t panic – as there is a cheaper way to keep your bike safe and dry and to save your relationship/pockets. 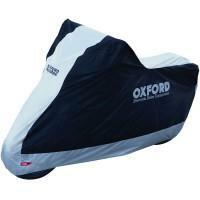 A motorcycle cover! 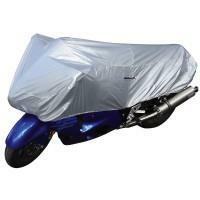 Here’s a cost-effective solution, from our top five motorcycle covers, to save your bike from a bad weather attack. With this heat resistant waterproof motorcycle cover you can sleep easier at night with the knowledge that your bike is dry. Crafted from double stitched nylon for strength and easily stored when not in use, this could easily be the smartest £20 spent this year. 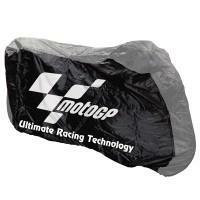 The official MotoGP waterproof rain cover! There’s fully protective lining under the skin, alongside heat resistant material. The adjustable under-bike webbing strap and storage bag makes removal, fitting or storage an easy task. Vents are in place for the mirror sections. Here we have an elasticated motorcycle cover for indoor use with a high quality 150D polyester constructionand accompanying storage bag. The only thing to bear in mind with this particular cover is that it’s intended for indoor storage only – so if you are storing your bike in the shed, this is the cover for you! 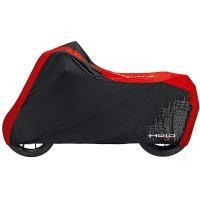 This all weather bike cover is recommended by sister title RiDE magazine, with a tough outer skin to protect against the weather and knocks, although it probably won’t save your ride from that dodgy looking tree you keep parking under should it finally fall – taking out your neighbours house in the process. Reflective panels increase visibility at night with strategically positioned holes to facilitate the use of a lock. If you are looking for a cheap way to keep your seat dry, and fancy appearing more stylish than swearing and wiping it down with a ragged towel, this cover makes for perfect travelling fodder. Protecting the upper half of the bike only, intended for periods of short use it’s perfect for when parking during the commute. Winter is coming and that usually means that the weather will be wetter than its usual average.